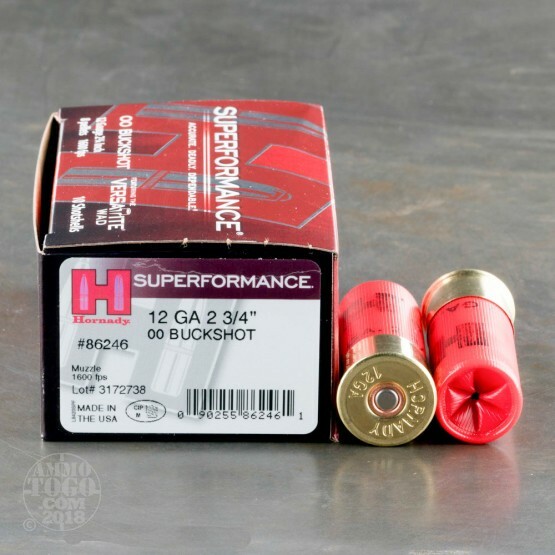 This is 12 Gauge Hornady Superformance Full Power (1600fps) 2 3/4" 8 Pellet 00 Buckshot Ammo. Specially loaded to ensure proper and reliable functioning in semi-auto and pump shotguns. Hornady's Versatite™ wad technology delivers tight patterns and consistant performance every single time without modification to your gun. Packed in 10rd. boxes. Hornady wins me over every time. 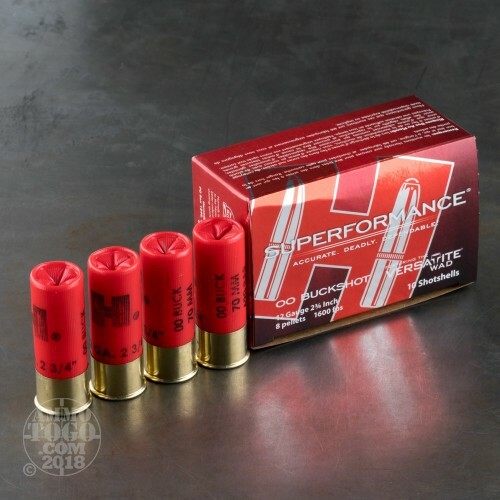 This ammo is the most consistent that i have used through several pumps and semi autos, and held the tightest pattern than any of the other brands i've tried. 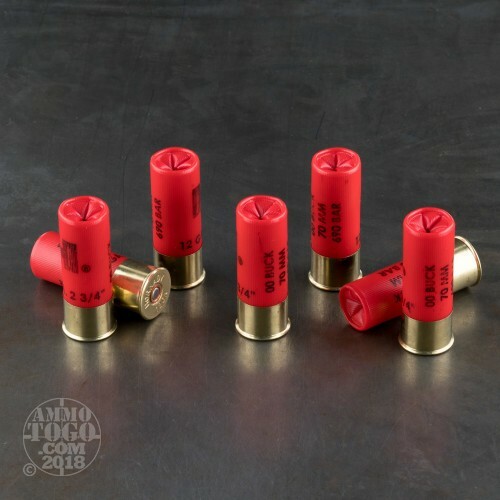 Bear in mind that this load is the same as their zombie load and as the critical defense loads, their speed, reliability, and customer support are second to none. They surpass many of the finest handloads. For me, there is no other brand of ammo i would rather have. Very good buckshot. It's unbuffered shot but hornadys versa tite seems to be their version of federals flight control wad, they are very similar. Patterned very well for me and is really smokin for a 8 pellet 00 load. Great for semi-auto guns. 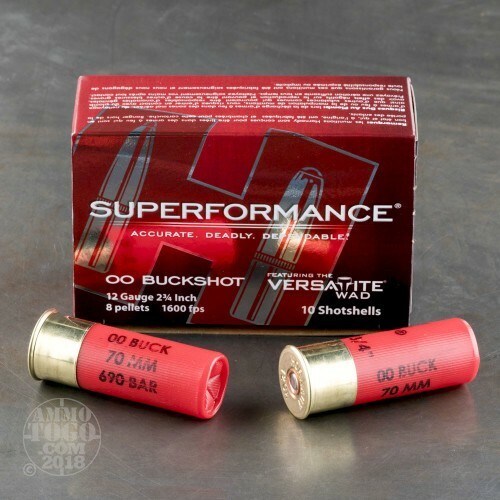 I think this is the best 00buckshot I have ever shot out of my super 90. Pattern was about palm size at 15 yards and about 8 inches at 25 yards.